…Reports say that the risk of death from suicide within a year after an abortion is more than seven times higher than the risk of suicide within a year after childbirth. 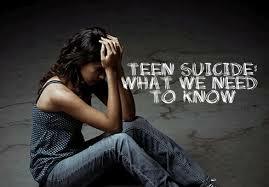 Author Lauren Enriquez, mentions that youth are the most vulnerable to suicidal thoughts and actions after abortion. We think we are saving young people from the challenges of single parenting by making abortion accessible to them in our communities. But the physiological and psychological changes of adolescence puts them at higher risk of not being able to process the complex and powerful emotions unleashed by participating in the death of their unborn child. In addition, they often feel powerless when encouraged or at times pressured and coerced by boyfriends, parents, counselors and others to see abortion as the only solution to their unplanned pregnancy. In addition to being the most visible pro life priest in the world with Priests for Life, Fr Frank also serves as the Pastoral Director of Rachel’s Vineyard. He has first-hand knowledge and has personally encountered many women and men who struggled with suicidal and self-destructive thoughts and behaviors after their abortion loss, putting a human face on the statistics mentioned in this article. This entry was posted on Tuesday, September 16th, 2014 at 3:52 pm	and is filed under Uncategorized. You can follow any responses to this entry through the RSS 2.0 feed. You can leave a response, or trackback from your own site.